I'll use the bathymetry data from NIWA to create a seafloor map of New Zealand using shaded relief techniques. 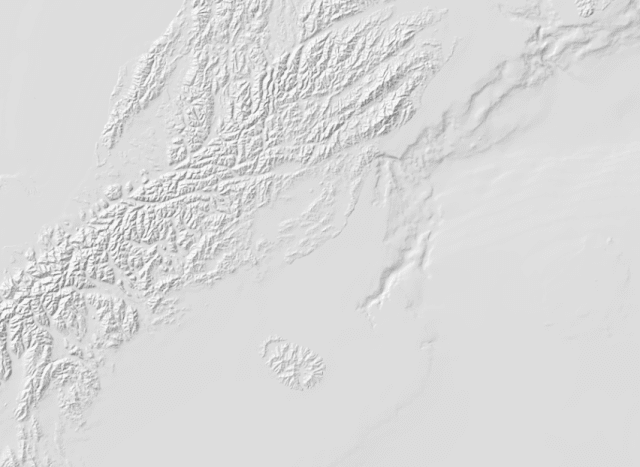 I used the same techniques when I created the terrain map of Jotunheimen in Norway, so I won't go into detail here. 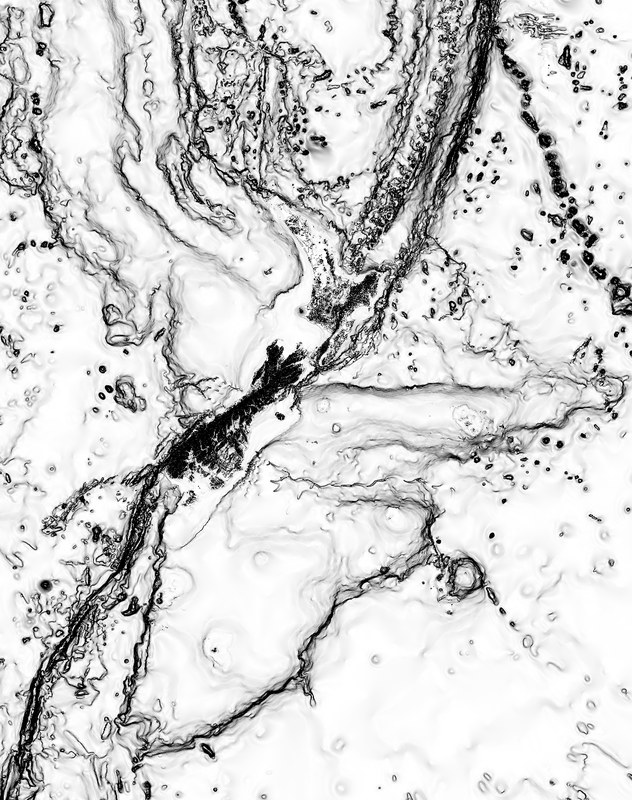 Let’s start by creating a color relief of the seafloor. I’ve used a blue color gradient similar to the one used by NIWA, progressing from light shallows to dark depths. Notice that the light source (-az) is not from the default top left position (azimuth = 315°), but in a bottom right position (azimuth = 135°). 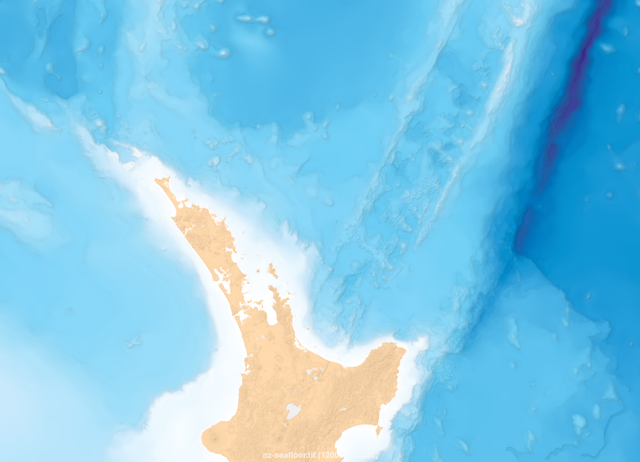 The reason for this is that bathymetry data are inverted compared to elevation data, with higher depths having higher values. The problem with this hillshade is that it’s all grey, and this grey color will blend with our color relief. To enhance the hillshade we can apply another technique. This technique is described in the document “Creating Slope-Enhanced Shaded-Relief Using Global Mapper” by Kent D. Brown at Utah Geological Survey. 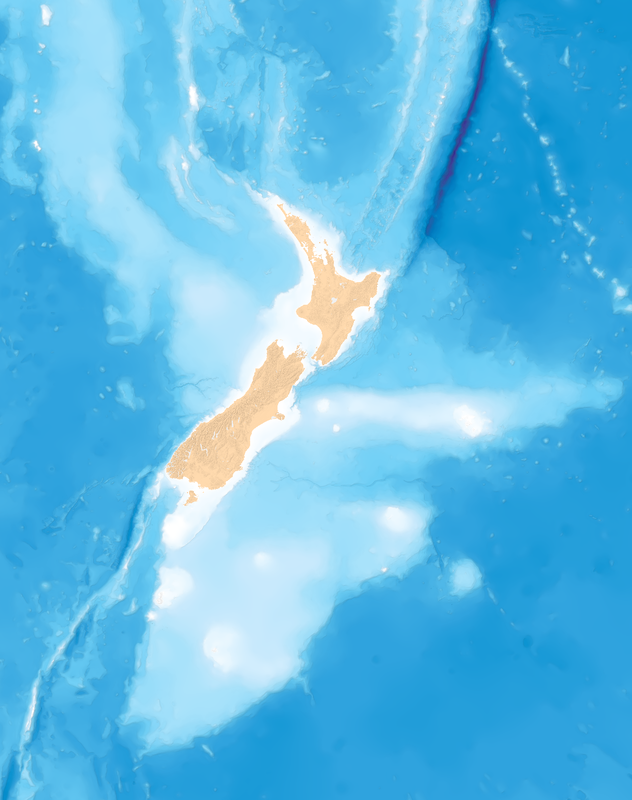 The technique clears out the gray from low-angle slopes so the map colors are not "muddied" by shading. The document describes how to do this in Global Mapper, but we’ll try to do the same the hard way with GDAL and Mapnik. In my next blog post, I'll turn this image into an interactive web map. I still think GMT can do the same thing, but looks nicer & is only a few lines of code. I recognize your DEM to be of positive values, right? My sea bed DEM in use (IBCAO 3.0 http://www.ngdc.noaa.gov/mgg/bathymetry/arctic/) have negative and positive values - the negative are of most interest here. 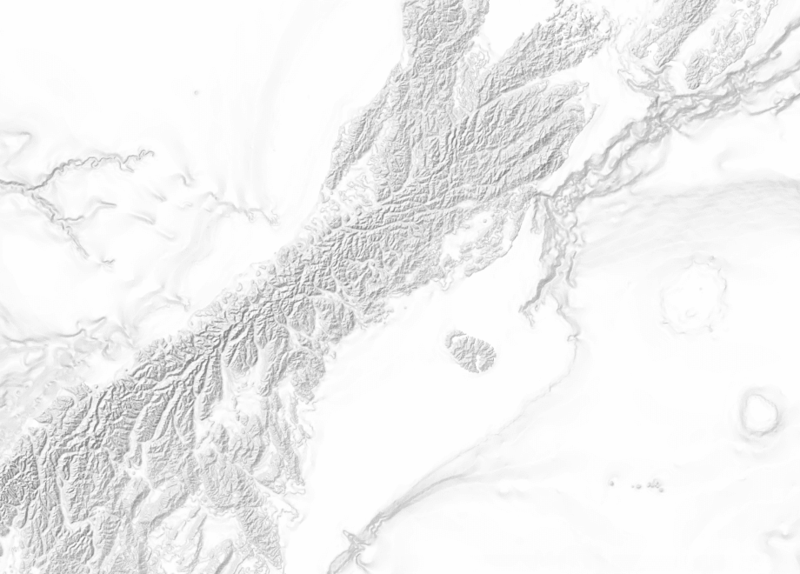 My hillshade generation seems to be flattened for the negative areas. What should I do in this case - I haven't found anything useful on the internet so far. And thanks for the useful tips around.